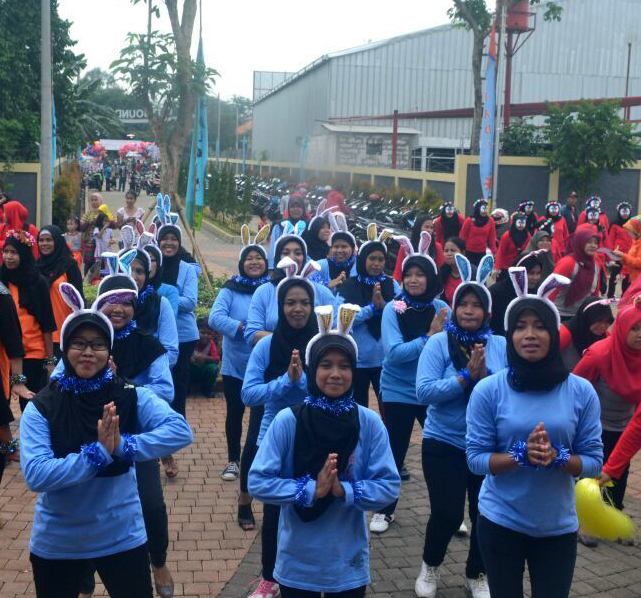 The Education Unit of Parung District (UPTK) organized competitions for Sports and Arts Week (PORSENI) on Saturday, March 19, 2016 at the Sapadia Arena, Lebak Wangi, Parung. The 45 preschools and kindergartens in the district consisting of around 1500 children participated in the said PORSENI Championship. There were 6 games in the competition, namely relay race, "pass-the-ball", "move the clogs," coloring, flag relay and "penguin" gymnastics which was specifically for the parents to participate in. The Warabal pre-school (PKMW Warabal) successfully won in four of six games - relay race for boys and girls (1st place), "pass-the-ball" for boys (1st place), "move the clogs" for boys (1st place), "move the clogs" for girls (3rd place) and penguin gymnastics (3rd place).